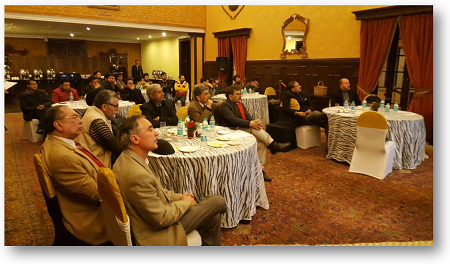 The Heart Rhythm & Pacing Division of FHM organized a session called ‘Up To Date in Heart Failure & Rhythm’ at The Lalit Grand Palace, Srinagar. 36 eminent cardiologists of the valley attended the session, including faculties from SKIMS and SMHS. Prof Q Iqbal, eminent cardiologist, Ex Dean and Head of CV Division was the chairperson of the meeting. Speaking to the attendees, Dr Rajat Sharma, Consultant, Cardiac Electrophysiology, delivered a very interactive presentation on this issue.